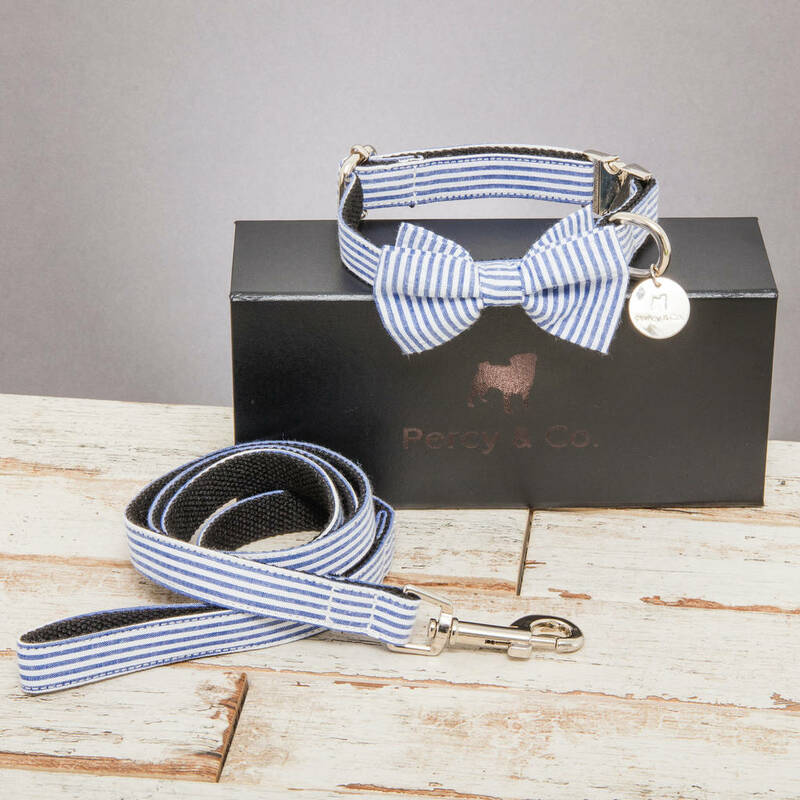 A bespoke Handmade Blue and White Horizontal Striped nautical Dog Collar Bow Tie and matching Lead Set- perfect for strutting along any seaside promenade. The Percy and Co. Chichester Dog Collar Bow Tie and Lead Set is a Blue and White Striped Collar with Detatchable Bow Tie. This comes with a matching Lead. 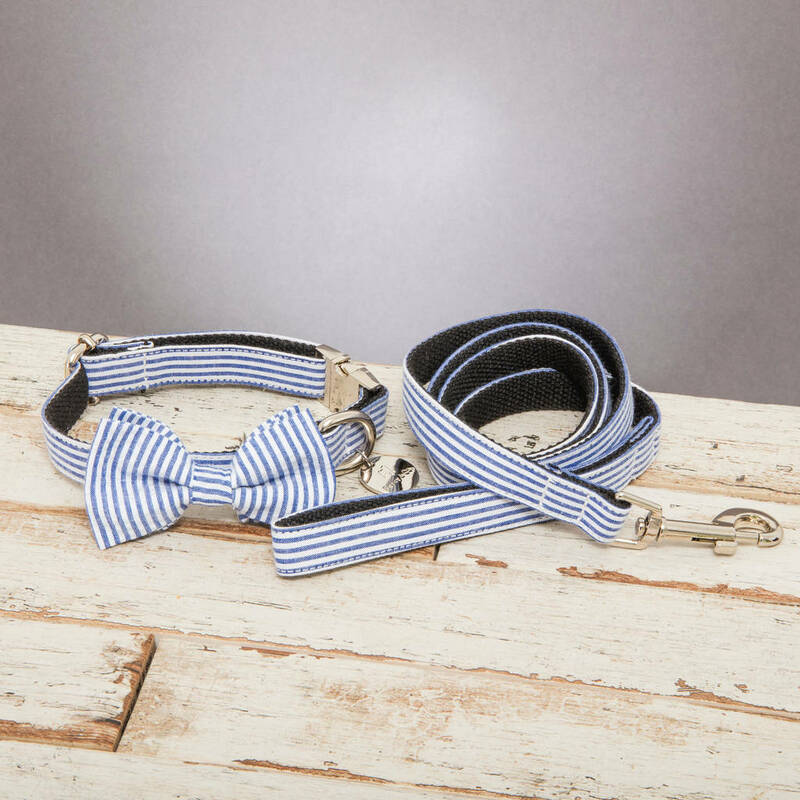 All Bows, Collars and leads are Hand Stitched. 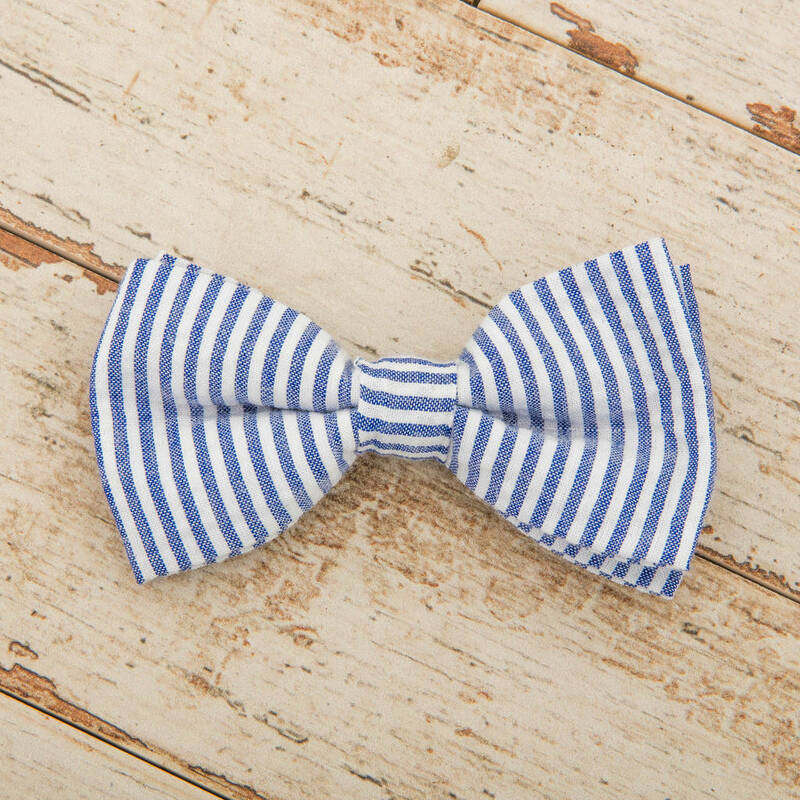 Bespoke design, all fabrics are hand chosen and collars as well as Bow Ties are all handmade. 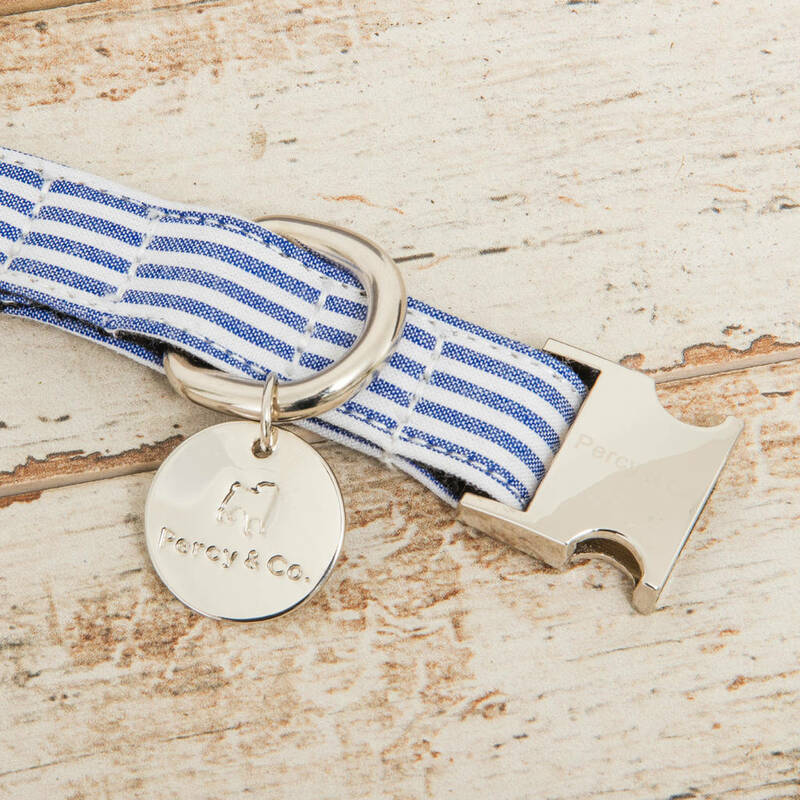 All clasps are Percy and Co. silver metal in colour with a Percy and Co. identification hanging tag, clasp and D Ring for attaching the dog lead. 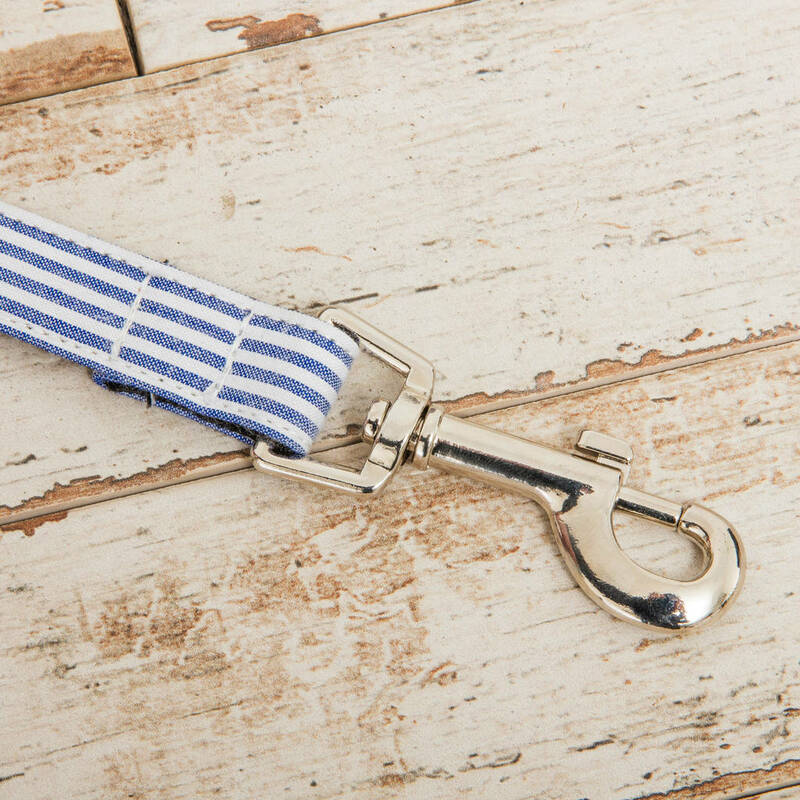 All clasps on the lead are silver metal in colour with a Percy & Co. sewn on tag and a spring metal bolt snap clip.